The customer experience will be a key differentiator in an increasingly digital insurance industry. Insurers that react quickly to the changing needs of consumers, and use digital technologies to deliver an enhanced customer experience to their policyholders, are likely to outstrip their competitors. The customer experience is poised to be a key differentiator among competing carriers as the insurance industry becomes increasingly digital. Insurance providers can no longer rely on a few select distribution channels to provide the customer experience their policyholders crave. They must combine an array of powerful digital technologies and a variety of ecosystems with their physical and call-center channels to satisfy and delight their customers. Already, consumers are engaging with digital experiences in almost every aspect of their lives. Their workplaces, homes, transport facilities and leisure environments give them access to a multitude of digital services. Around 83 percent of the insurers we surveyed for our Technology Vision for Insurance 2018 report believe that technology has become invisible to most people in their daily lives. What’s more, this group of insurers reckons technology is also indivisible from these people’s lives. It’s now embedded in most modern societies. 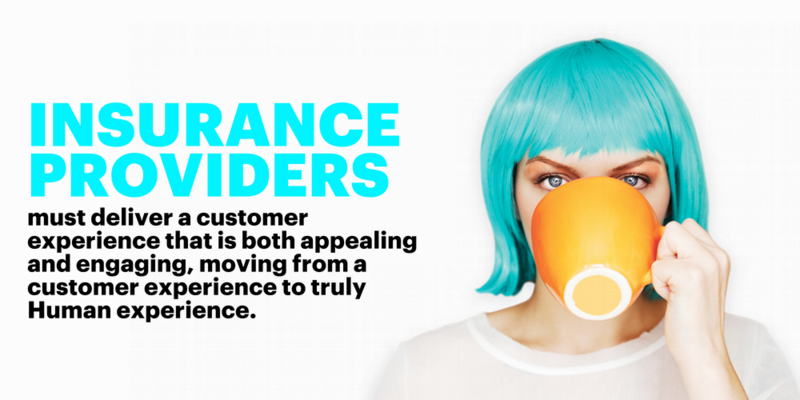 To stand out from competitors, insurance providers must deliver a customer experience that is both appealing and engaging. It must constantly attract new users while at the same time foster long-lasting ties with policyholders. Recent advances in digital technologies offer insurers an invaluable opportunity to put the customer experience at the forefront of their business strategies. These advances include substantial improvements in image and voice recognition technologies, smarter artificial intelligence systems and the development of extended-reality applications. Individually, these advances have the capacity to enhance the customer experience substantially. When combined, their potential is enormous. Some far-sighted insurers are already integrating these powerful digital technologies to roll-out highly innovative customer solutions. Aviva in the UK, as well as USAA, Nationwide and Liberty Mutual in the US, have launched smart voice-activated services running on Amazon’s Alexa intelligent digital-assistant platform. These services capitalize on Amazon’s integration of voice recognition and artificial intelligence technologies and allow insurance customers to verbally request information about policies and cover. Legal & General America has launched an online platform that generates insurance quotes by analyzing digital photographs submitted by prospective customers. SelfieQuote uses intelligent image-recognition technology developed by insurtech firm Lapetus Solutions to analyze facial images to estimate the age, gender and body mass of applicants for initial underwriting assessments. In China, Ant Financial Services is using an image recognition system, equipped with artificial intelligence, to help its claims adjusters make quicker, more accurate assessments of vehicle damage. The company, an affiliate of the Alibaba digital services conglomerate, plans to offer its customers access to the system within a year. Customers could then upload pictures of their damaged vehicles and, once Ant has assessed the damage and estimated the cost of repairs, receive by email a list of quotes from nearby repair shops. In my next blog post, I’ll discuss how some far-sighted insurers are using new digital technologies to draw much closer to their policyholders. Until then, have a look at these links. I’m sure you’ll find them useful.